We all love our lashes, and want them to be long and strong, but sometimes we can get a little rough with them. We curl them, pull on them, and rub them, to get them looking clump-free and wispy. All of the poking and prodding we do to our eyelashes can result in them falling out! 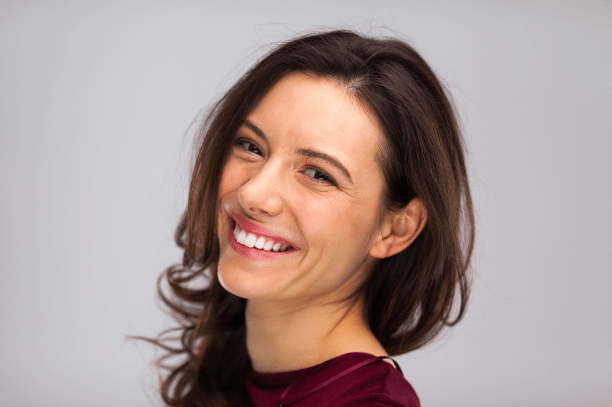 Here are the common mistakes most women make that could be causing your eyelashes to fall out and what you can do about it! If you have been losing lashes rapidly, you might want to check out our blog about the causes of eyelash loss (madarosis – click here). Glue-on falsies are a great way to make your natural eyelashes temporarily look thicker and longer. They can give you the lashes you have always wanted, and spice up any makeup look. But how you remove them could be causing your real lashes some serious damage! Most women rip them off at the end of the night before they take off their makeup (the feeling is soooo satisfying, am I right?!) which can cause your natural eyelashes to fall out. To avoid your real eyelashes falling out, at the end of the night, be sure you use an oil based cleanser to gently remove your false lashes. You can also purchase eye makeup removers specifically made to remove the adhesive used to apply falsies. Douse a q-tip in the remover and run it along the lash band, and then GENTLY pull on the false eyelashes to remove them. The effect that mascara has on the eyelashes is similar to what happens when we apply hairspray to our hair. It manipulates the eyelashes into a new position, and then hardens so the lashes stay put all day. If you do not remove your mascara at the end of the night, the friction from your face against a pillow can cause eyelash breakage! And if you are using waterproof mascara, this can make the breakage even worse as waterproof formulas are much more drying than non-waterproof ones and make the lashes brittle. Never, ever, EVER sleep with makeup on. No matter how tired you are at the end of the night. At the very least, use a gentle cleansing wipe to remove your eye makeup before bed – or remove makeup and nourish your lashes by followingour DIY eye makeup remover recipe here. Be careful not to rub too hard though, as vigorous scrubbing can pull eyelashes from the follicles, making them fall out. As mentioned before, the best kind of cleansers you can use for eye makeup removal are oil-based (like our recipe!). Soak a cotton round in the cleanser and lightly hold it against your eye for a few seconds. This will break up the product, making it easier to remove, and preventing your eyelashes from falling out. Eyelash curlers are a great tool to add a natural looking curl to your eyelashes, however use them with caution! Each eyelash curler comes with a rubber insert on the inside. Sometimes on cheap lash curlers, the rubber insert falls off, especially in transit. ALWAYS make sure that it is present before curling. Or rrrrrip… there goes your lashes. (makeup.com) I have received sooo many emails from makeup artists who have done this (or whose mothers’ have done this). Believe me, it’s not a happy accident! Aside from ensuring your eyelash curler comes with a rubber insert, it is also crucial you never curl your eyelashes while product is on them. Always curl BEFORE applying mascara. When you curl them after mascara has been applied, it causes damage to your eyelashes which will lead to fall out. Don’t take a risk: just follow our guide to curling lashes the RIGHT way (click here for the guide). We gave you the run down on the 3 most popular (and avoidable) reasons why your lashes are falling out. If your eyelashes have already fallen out, there are a lot of things you can do to stimulate those lashes to grow again. 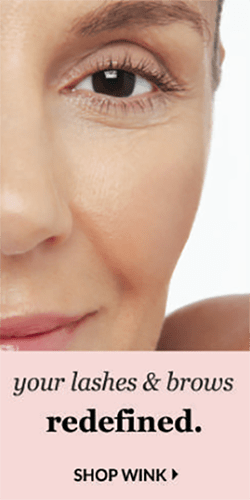 We suggest using a lash enhancer like WINK (click here) to help them grow back long and strong. 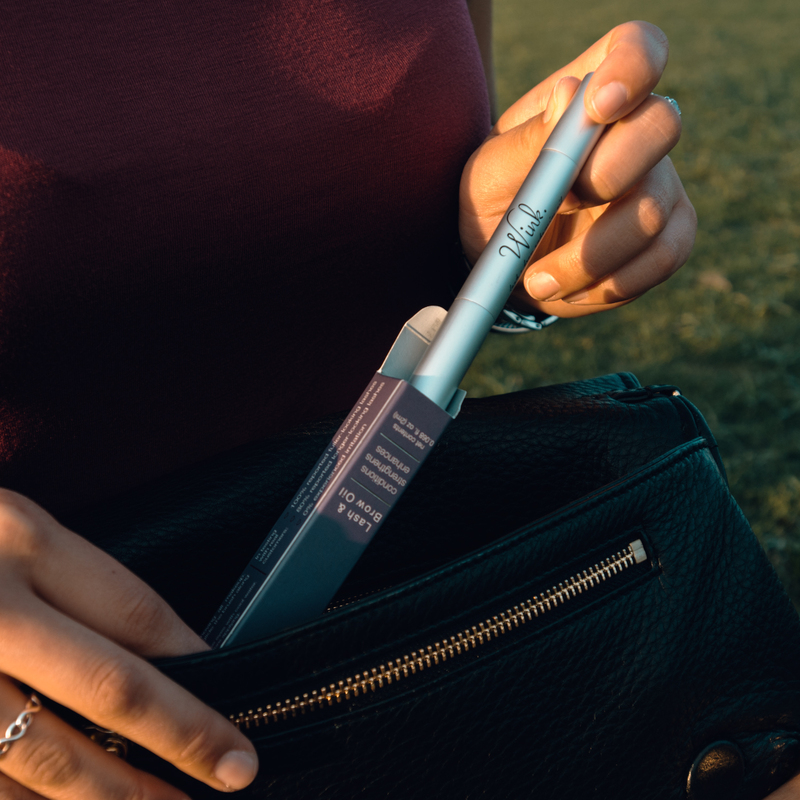 WINK is packed full of essential fatty acids, which have been shown to increase prostaglandin production (and therefore lash growth) in individuals with a deficiency (source). 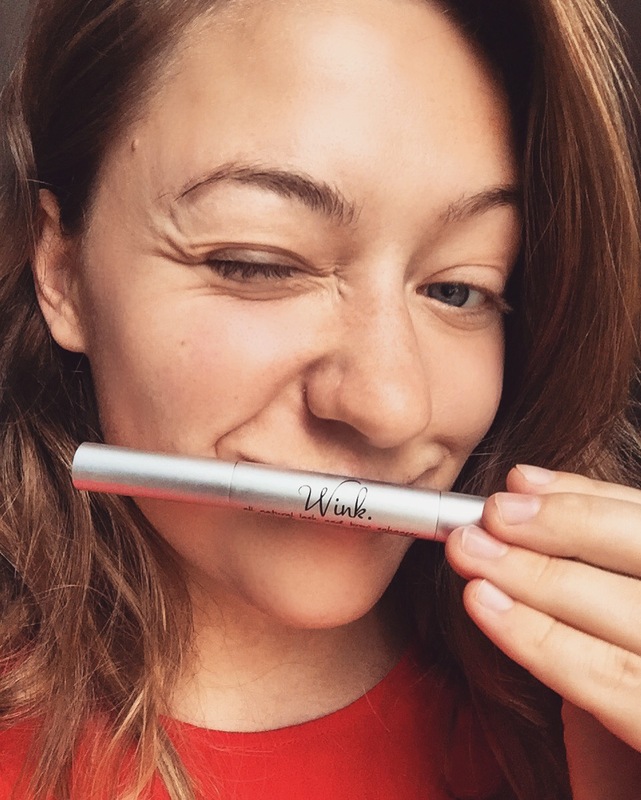 Prostaglandin production decreases as we age, so if your lash loss is related to aging, an essential fatty acid serum like WINK is a must-try. 4. Coconut Oil for Lashes – will it help? 5. Will Vaseline help my Lashes Grow?